Peanut Butter has a lot of health benefits, we all know that. It is packed with protein, healthy fats, potassium and fiber. Peanut Butter also keeps you feeling fuller for a longer period of time. This is probably another reason why people who exercise and on a diet can eat Peanut Butter! 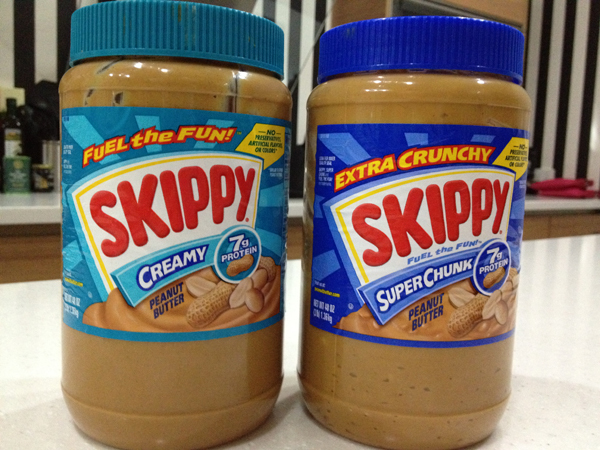 Our family’s favorite Peanut Butter brand has got to be Skippy! I love how S and R has them in GIANT sizes! From left to right – Organic Peanut Butter with Sea Salt, a regular pasalubong from my sis-in-law from the States who gets it from Whole Foods. 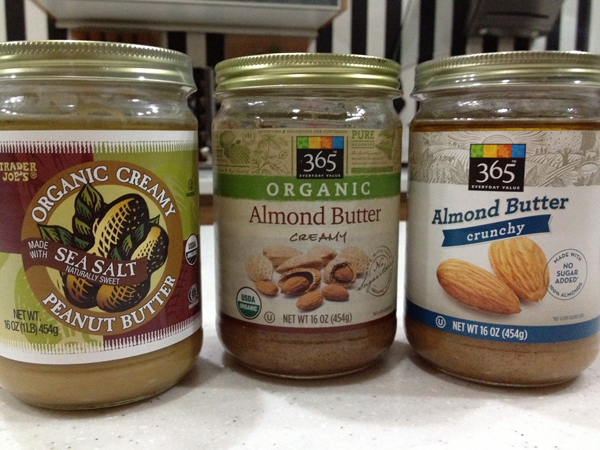 The one in the center and rightmost are 2 different variations of Almond Butter (one creamy and the other crunchy), which most health nuts say is the healthier version of Peanut Butter. Both are available in Healthy Options. 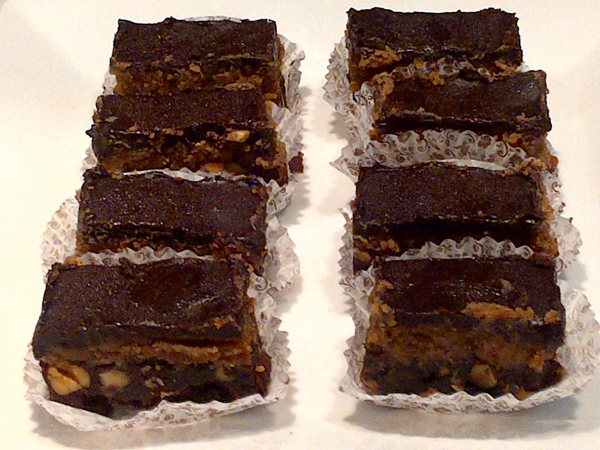 Peanut Butter bars from Healthy Options. These are really delicious! 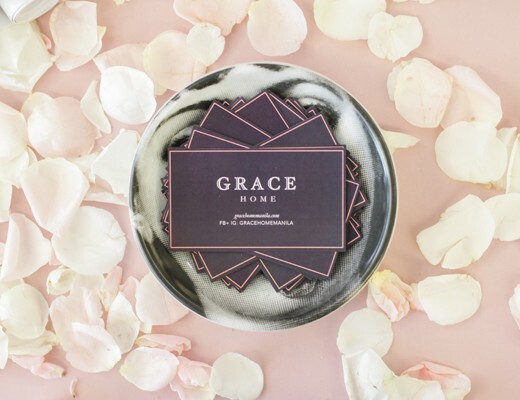 (And note that these goodies won awards too – as seen on its label!) They are made of gourmet chocolate mixed with good quality Peanut Butter. 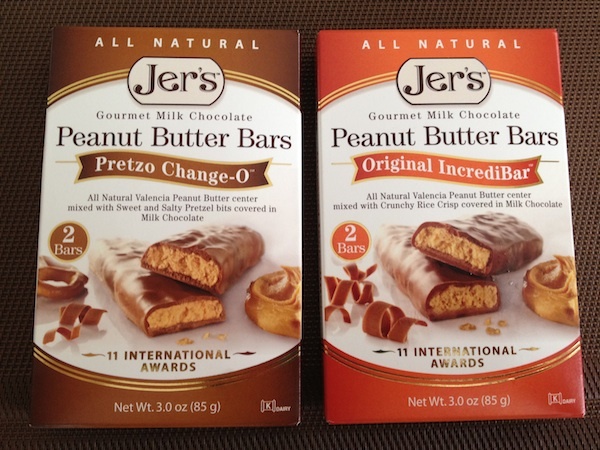 I’ve tried so many other Peanut Butter snacks from Healthy Options, but none of them are as good as these! Sweet Patti Cakes‘ Ooey Gooey Peanut Butter Cupcake. 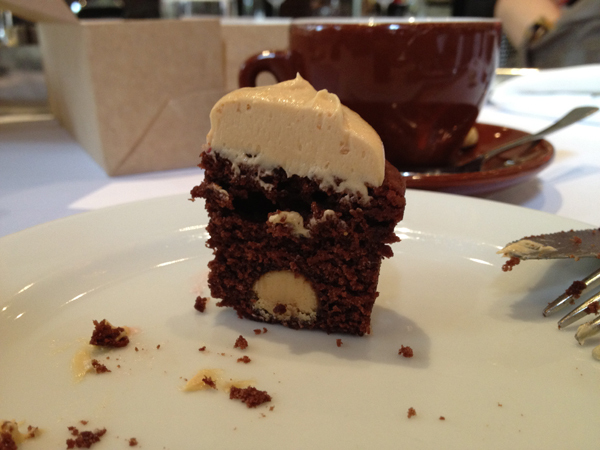 This is one of the best Peanut Butter Cupcakes I’ve ever tried. 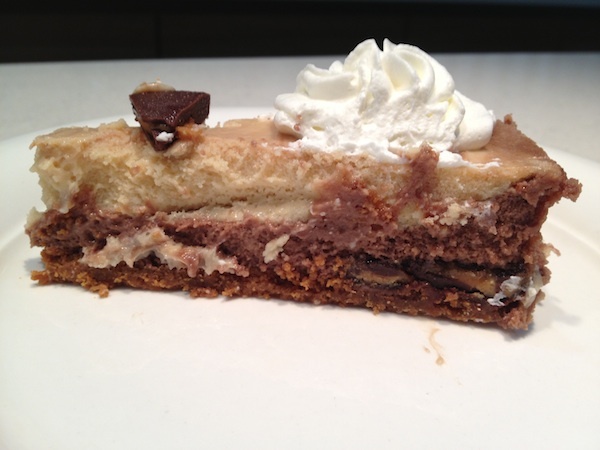 It is rich, creamy, and has the right amount of Chocolate and Peanut Butter in it. I don’t need to search high and low to look for that Peanut Butter-y taste (as my experience with most cupcakes out there.) This cupcake has the right to claim its name. It is indeed ooey and gooey. 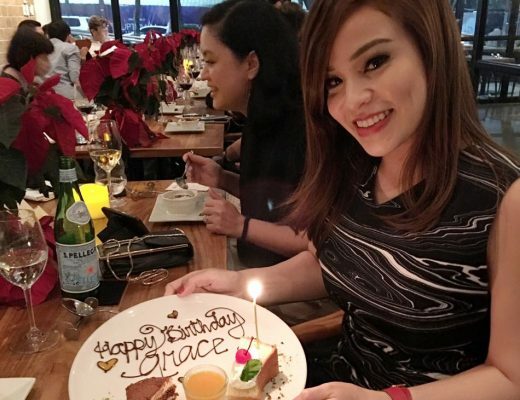 Gigi Gaerlan is famous for her custard-like macaroons more popularly known among dessert afficionados as Custaroons. 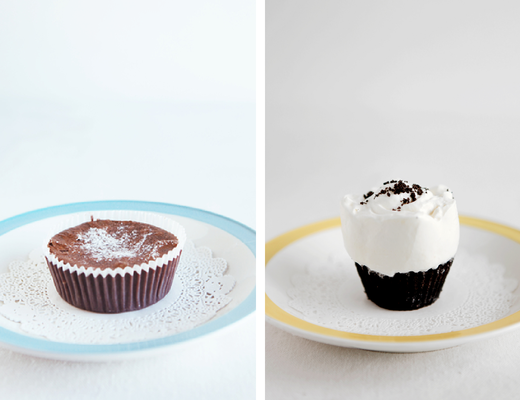 But recently, she has expanded her repertoire to include cupcakes. 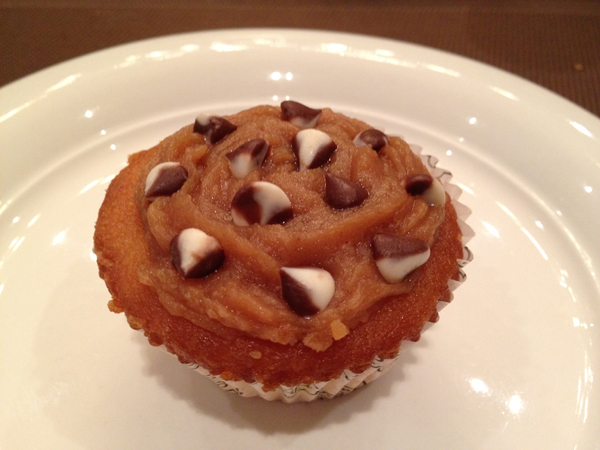 This Peanut Butter cupcake is made of pillow-y soft cake base topped with a generous amount of Peanut Butter that is then further topped with milk and white chocolate chips. The base alone can be eaten on its own because it is THAT soft, moist and tasty. The Hubby who is more picky with sweets actually gave his seal of approval on this one and even asked me to heat it for a good 10 seconds just because he likes his desserts warm. 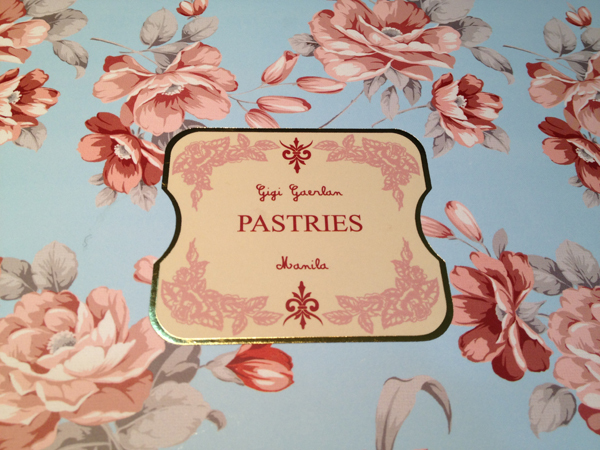 Another bonus is Gigi Gaerlan’s pretty packaging. The Spoiled Mummy appreciates bakers who put in an extra effort in creating nice boxes for their baked goods. Perfect for gifts! Mini Peanut Butter Cupcakes by Baked by Anita. 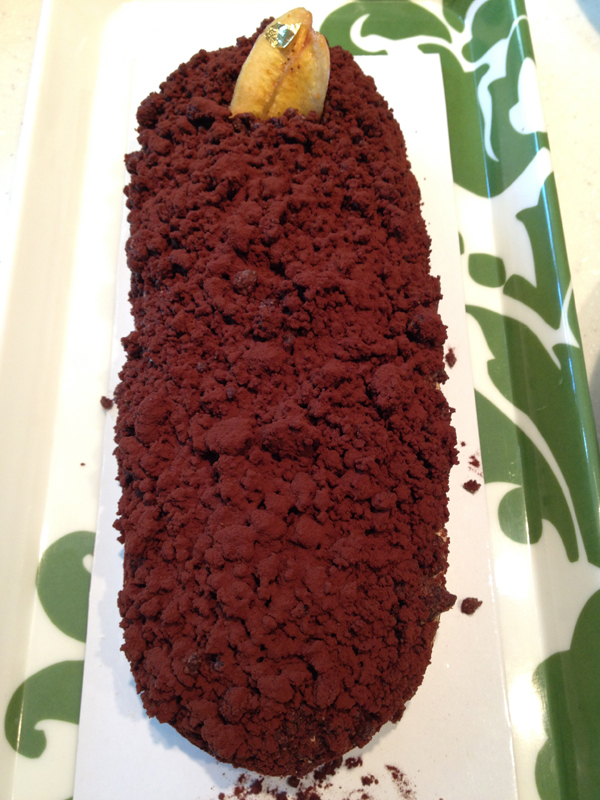 For those who love their desserts to come in mini – sizes, this one’s for you. 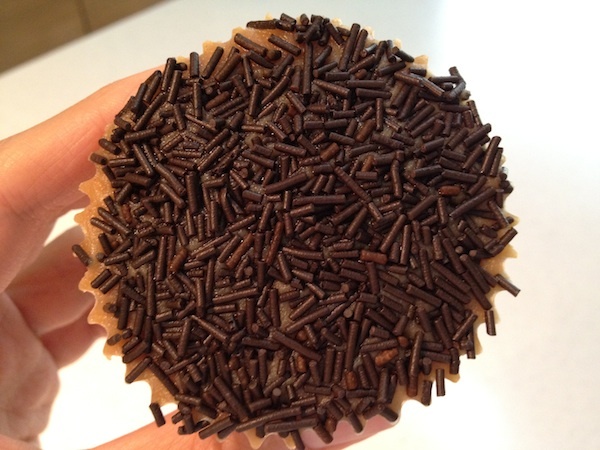 This cupcake may be small in size but big in flavor. It doesn’t just have that Peanut Butter frosting on top, but the center is filled with it as well! The Goose Station’s Peanut Butter Terrine. I wrote about this dessert here and I still remember how good it tastes! This has the right mix of Chocolate and Peanut Butter in it, as well a good combination of many different textures : soft Peanut Butter terrine and cold ice cream on top of a hardened Chocolate crust surrounded by some crunchy Chocolate biscuits. 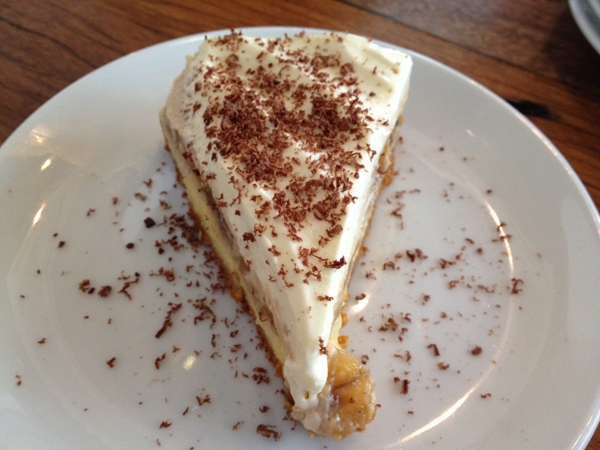 Wildflour Café and Bakery’s Peanut Butter Cream Pie. This is definitely one of my top favorites! I’ve also written about this dessert here. 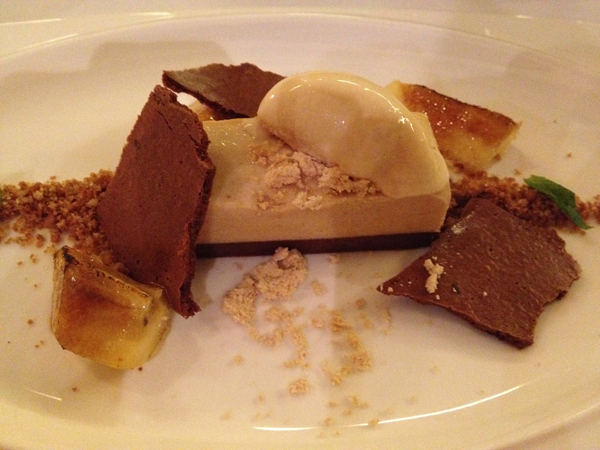 Cinq’s Chocolate Peanut Butter Tart. A tart is different from a cake in the sense that a tart is usually made of a baked shortcrust pasty that is openly topped with a filling. If you prefer the flavor and texture of tarts over cakes, this is your best bet. 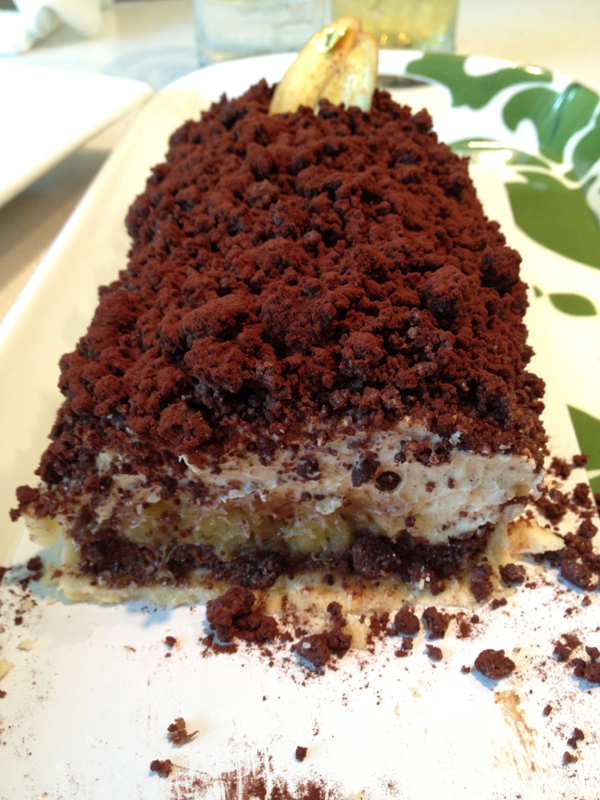 This one is layered generously with Peanut Butter, Banana, Cream and Chocolate…and then more crushed Chocolate is sprinkled on top. Definitely, a winner in my books! 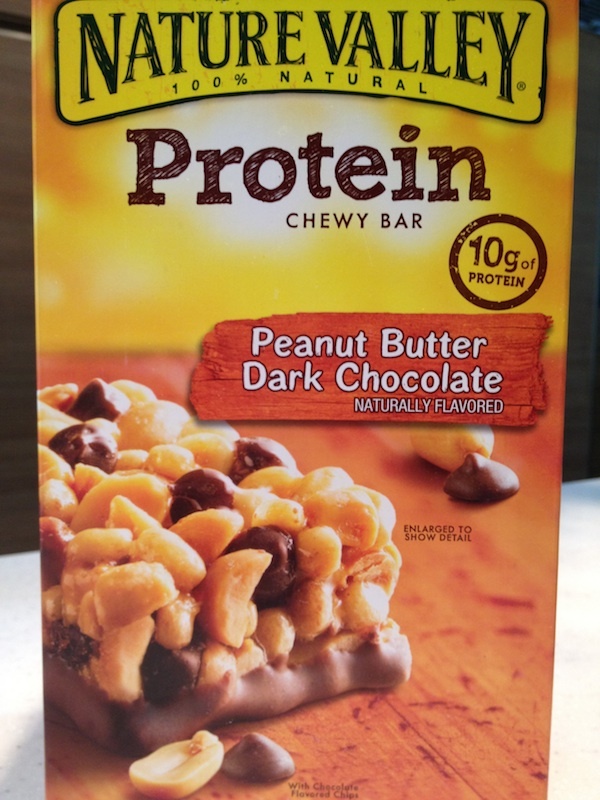 I can never say no to this deadly but delicious combination of Peanut Butter and Chocolate! (Cinq – 0917-625-2611). Frozen Peanut Butter Chocolate Mousse by Dessert Fairy. Someone told me that a mousse has less calories than a cake. Although this information is not completely reliable, the gullible me tried to believe it. I guess it’s because of the guilt factor that I get every time I devour a dessert. So since they say a mousse is less sinful, I looked for one that has Peanut Butter in it! This one by Dessert Fairy delivers quite well. This dessert is best eaten cold (straight from the freezer), because it melts easily (it’s a mousse). This is rich and sweet, perfect for those with a really sweet tooth. Bonus part? If you can’t finish the whole cake in one go, you can always put them back in the freezer to eat at some other time! Gourmandise Patiserrie’s Chocolate Peanut Butter Tart. This is done by the same group behind The Goose Station, but this place is solely for their desserts. This one has more of a salty Peanut Butter-y taste than the sweet kind. Some people might actually prefer a salty dessert but I like mine to have that sweeter Peanut Butter-y taste. Coco Cake’s Homemade Peanut Butter Bars. This one was made by a friend of mine who bakes most of my children’s party cakes. Although I’m a big lover of desserts, I seriously cannot bake! (But I can cook! :)) So my baker-friend came to the rescue and simply followed the recipe I found online. 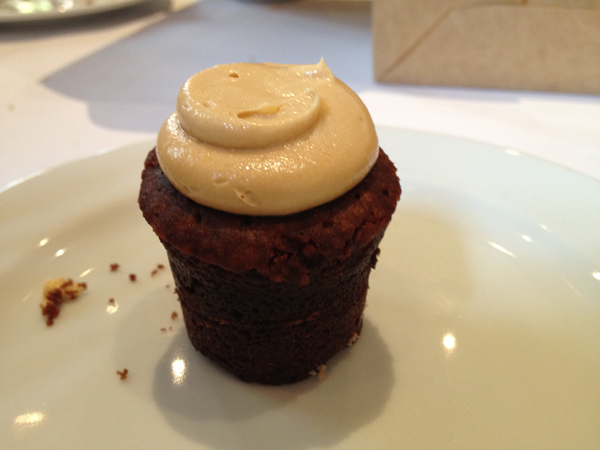 This one was rich, creamy and moist, a toss between a Chocolate Brownie and a Peanut Butter Bar. 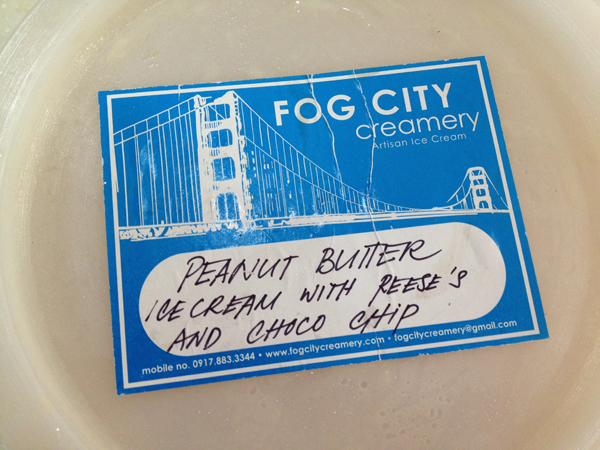 Fog City Creamery’s Peanut Butter Ice Cream. Recently, I’ve been trying our many local ice cream makers. I actually prefer my ice cream to be home-made instead of mass-produced. I am assured that the home-made ones are made of better quality ingredients with no artificial flavor and preservatives. 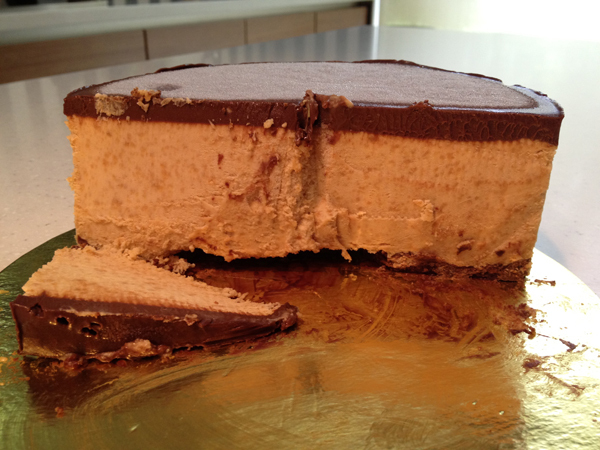 Dulcelise’s Peanut Butter Cheesecake. This one is a soft and creamy type of Cheesecake. It literally melts in your mouth! I tasted a good combination of Peanut Butter and the local Chocnut here. 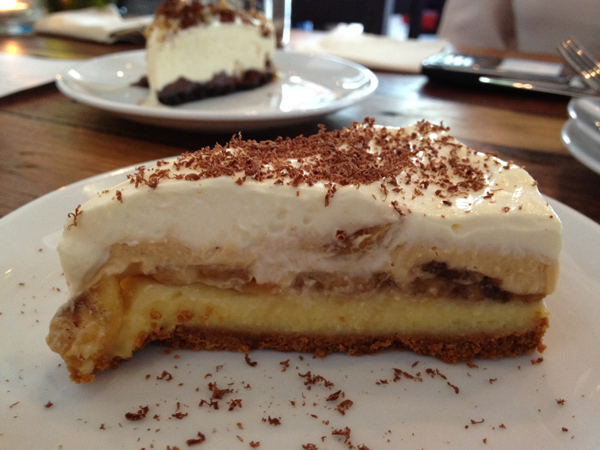 I know of a lot of friends who love this humble Pinoy delicacy, so imagine that Chocnut made into a cheesecake! Meanwhile, I prefer my Cheesecakes to be more tart and a tad bit sour even (like when you taste cream cheese on its own) and I like the texture to be more dense or packed. 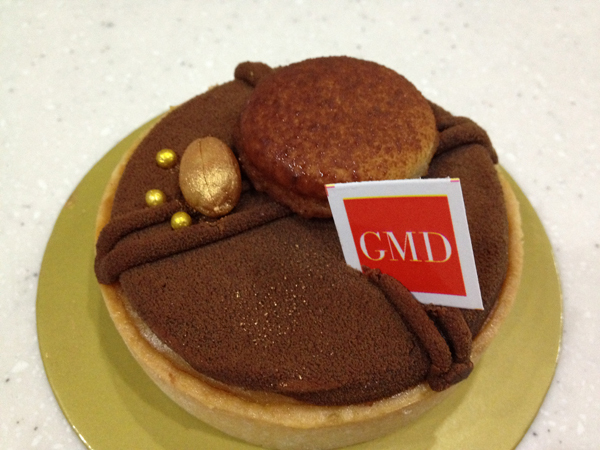 But for those who love ultra soft and sweet cheesecakes, this one is definitely a good choice. 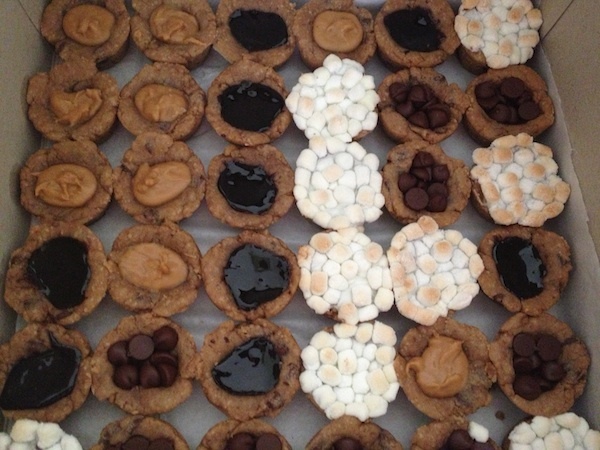 Cookiebar’s Mini Cookies with Peanut Butter. I ordered a whole box with many different toppings, but the one with the Peanut Butter was obviously my favorite. (Those are the ones with the caramel brown topping on the upper leftmost). This one may look small but it is packed with big flavor. The texture of the cookie dough is moist and just right. 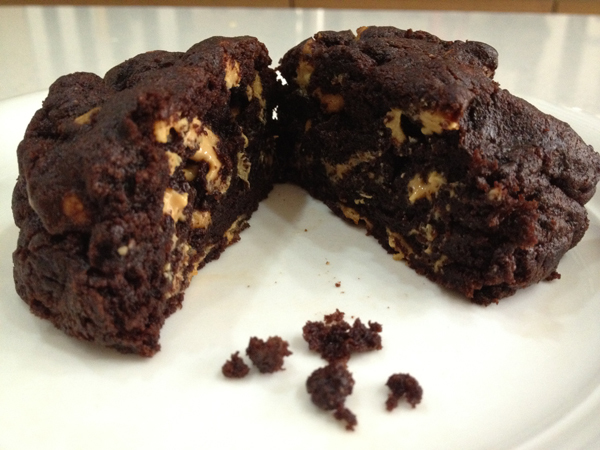 The choco chips baked inside it had the right amount of sweetness that was a perfect match to the saltiness of the Peanut Butter topping. I can eat this as a dessert or as a pairing with my afternoon cup of espresso. 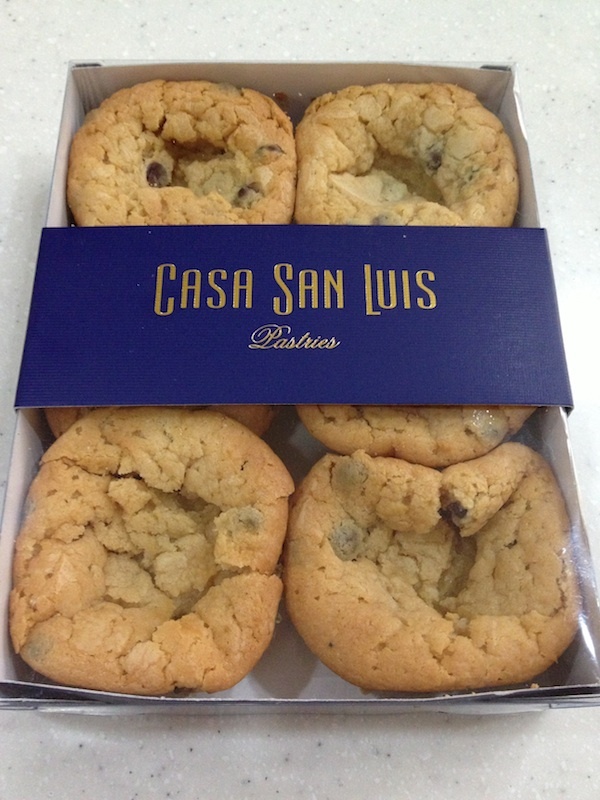 Casa San Luis’ Peanut Butter Cups. These are not cookies but are mini-cakes. 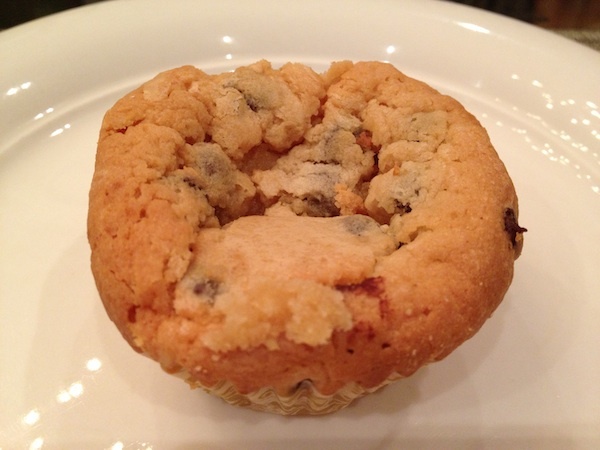 The cup or the base itself is soft and the Peanut Butter is baked right inside (a filling), rather than baked on top (a topping). 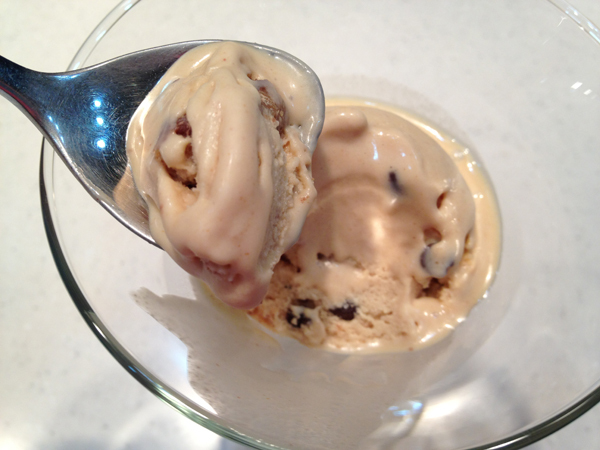 I like my Peanut Butter Cup heated a bit and then I top it with a hefty scoop of homemade Vanilla ice cream. Yes, I secretly turn this into a Molten Peanut Butter Cake, since my taste buds are getting tired of the usual Chocolate Lava cake that are available almost everywhere. Levain’s Peanut Butter Cookie. 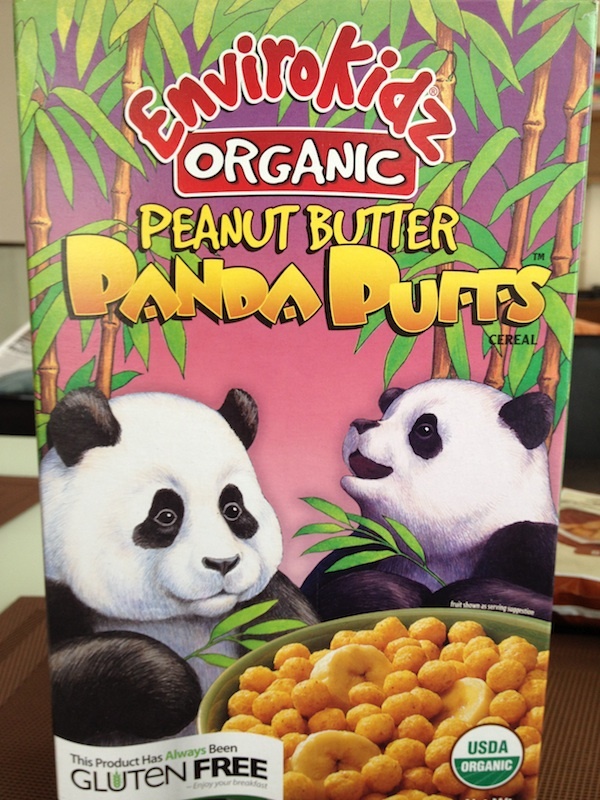 Amongst the many Peanut Butter finds I’ve featured here, this is the only one that is available abroad. I usually ask my sis-in-law or the Hubby to bring this home for me as a pasalubong whenever they are coming home from New York. And among the many Peanut Butter Cookies I’ve tried from abroad, I say, this is the best one. 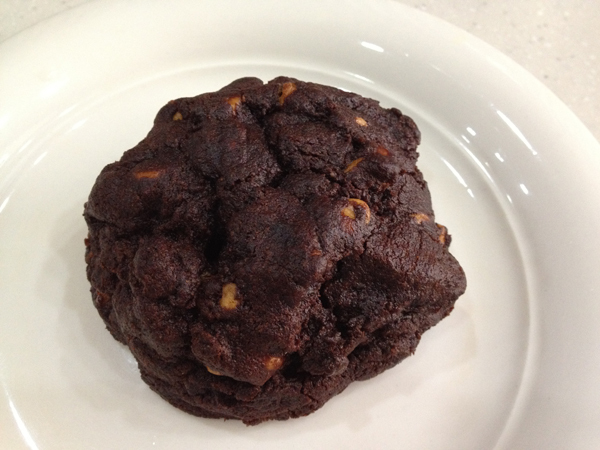 The cookie dough itself is made of pure dark chocolate and inside it, is filled with lots of huge Peanut butter chunks. And we all know that almost everything coming from the States come in huge sizes, so this one from Levain Bakery is really one giant cookie! Because of it being so delicate, it has to be hand-carried and handled with a lot of care while in transit. 🙂 As soon as it arrives, I pack them right away in an airtight container and store them in the freezer. I only get as needed and I make sure to heat them a little bit, so the Peanut Butter melts and oozes out! Again, best eaten when topped with a scoop of Ice Cream! You can already imagine that writing this article made The Spoiled Mummy gain not just a lot of “experiences”, but a whole lot of weight too! 🙂 Nevertheless, I had fun eating and devouring my desserts…after all, I am a big, (or should I say bigger?) fan of Peanut Butter! 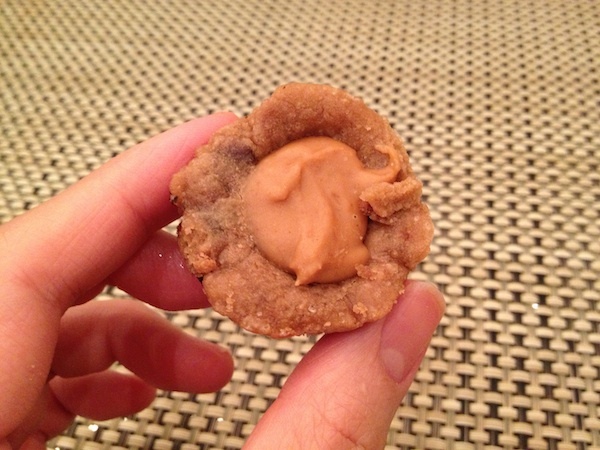 Share with me your favorite Peanut Butter finds too! Spoiled Mommy, Omg, really great “research” and quite extensive. For good health reasons ,we hope the research was made over a very long period of time. Grabe,all for the sake of information. Superthanks for sharing. I clicked on every link to every baker/dessert maker you linked to. Amazing! I’m so impressed: not with the peanut butter (though it’s ALL yummy), but with your diligence! You’re doing an awesome job!!! Have you tried the peanut smoothie at Lugang Cafe? Another Peanut Butter fan! 🙂 And yes… Levain makes the best Peanut Butter cookies out there! Thanks for this post! 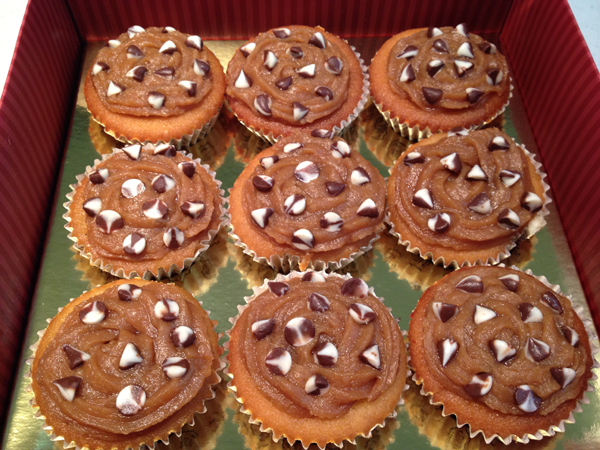 I have tried Gigi’s peanut butter cupcakes and I love them! They are soft and moist and the pb taste is so pronounced. What more, it is so affordable for working moms like me!